I'm (slowly) learning something about paleo recipes. Even if (and especially if) it says something like "tastes just like the real thing!!!!! ", your best bet is actually to not try it. Why? Because you will expect it to taste just like the real thing, when in actuality IT CANNOT. It cannot because it is paleo. Period. (I should note this applies mostly just to baking). ... are really not BIG go-to ingredients in baking. (Have you seen these items down in the "baking isle"? No, no you haven't)! I am not saying that there aren't creative people out there who can make delicious "stuff" out of these things, but I don't think you can call the outcomes of these concoctions the same thing as the real thing. 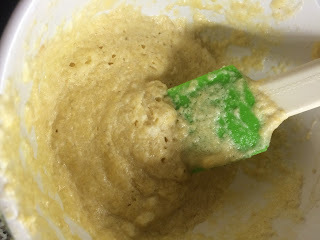 For example, the "WAFFLE" recipe I tried tonight was (when not actually thinking ABOUT a waffle while eating it) not bad. But it's not fair to a poor waffle to say the almond/egg thing I made was a waffle, because it was not! 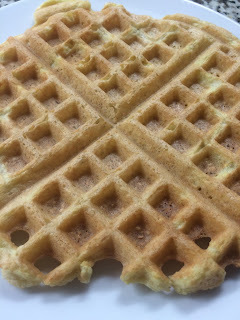 Now for the record, the Granular-Eggy Gobbledygook Snack does LOOK like a waffle. The eye deceives you here my friends but your palate will not. Again, not a terrible tasting thing to eat, but not a waffle. Is someone going to second me here?? LMAO!!!! Sadly no, it had nothing to do with her!! !